New feature for registered users to track the progress of the commanders. 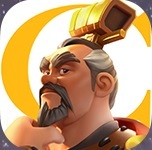 We added a guide describing the commanders in Rise of Civilizations, describing how to acquire and upgrade them, and which features on this website are available to assist you in your game play. We added the talent tree planner for Rise of Civilizations. This tool allows you to plan the talent point assignment for any hero, allowing you to auto fill based on preferred buffs, or manual enter different specifications. We added the data (tree setup, boosts, prerequisites) of all talent trees except defense since in our account we have neither of the commanders that can access this tree. We added a troop training calculator for Rise of Civilizations. So far we only have training time and resource requirements for tier 1 and 2 troops. If you have info on higher tier troops, please provide and we will extend the troop training calculator. All commanders have been added for Rise of Civilizations, with their specializations, talents and skills. Including information about all commanders having a certain specilization, break down by civilization etc. All research categories and projects have been added. We still have to start on the resource and time requirements, but anyone interested can add data by registering. All buildings have been added. We still have to start on the resource and time requirements, but anyone interested can add data by registering. BlueStacks is a platform that allows you to play Android games on Windows or Apple computers. It has good performance and many extra features compared to playing on mobile phone, so might be a good alternative if you love playing Rise of Civilizations.